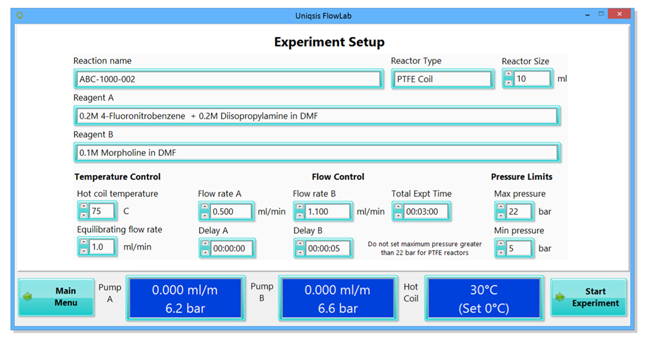 and for those wishing to try flow chemistry without the associated costs of a sophisticated fully automatic system. fume cupboard and away from chemicals. Optionally available, as shown above, are a stand and 4 position manual PTFE inlet valves for each pump. botlle. Back pressure is set by a fixed back pressure regulator cartridge positioned in-line with the flow stream. 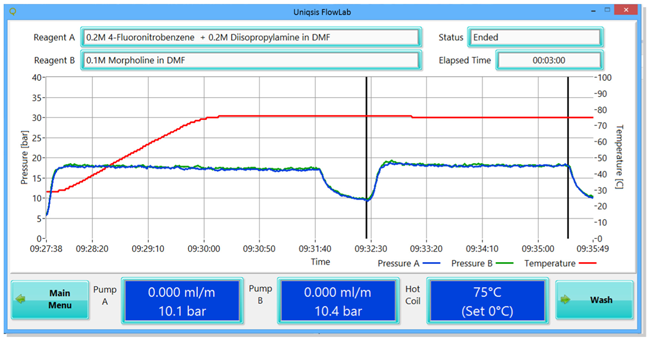 The FlowLab application affords control of the system via a ‘step-through’ interface that is straighforward to use. be entered in text fields and logged data is automatically saved. there is a blockage, leakage or overheating. 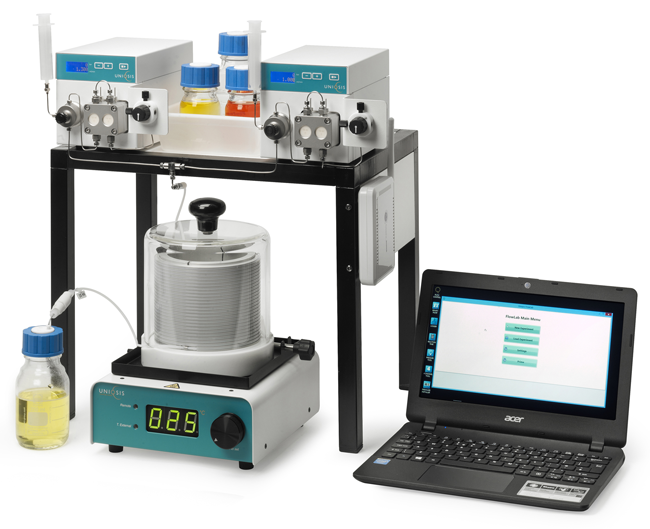 A wide range of optional accessories are compatible with FlowLab. These include coil reactors in sizes ranging from 2.0ml to 60ml constructed of PTFE, PFA, 316L stainless steel, Hastelloy® or copper tubing. perfluoropolymer) in-line back pressure regulator cartridges (5-50bar). 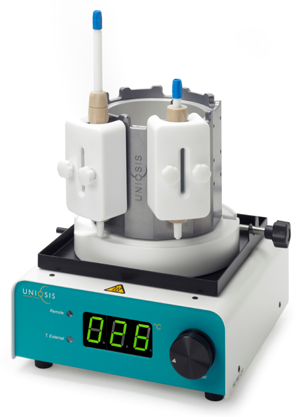 The HotCoil coil reactor can be fitted with the HotColumn™ accessory (shown opposite). This can accommodate up to 6 column reactors for catalytic or scavenging applications and holders that fit different sized columns can be specified.